Evidence for Development staff and associates have been very active since the start of the year conducting studies, publishing research and participating in conferences and consortiums. Here’s a taste of what we’ve been doing. 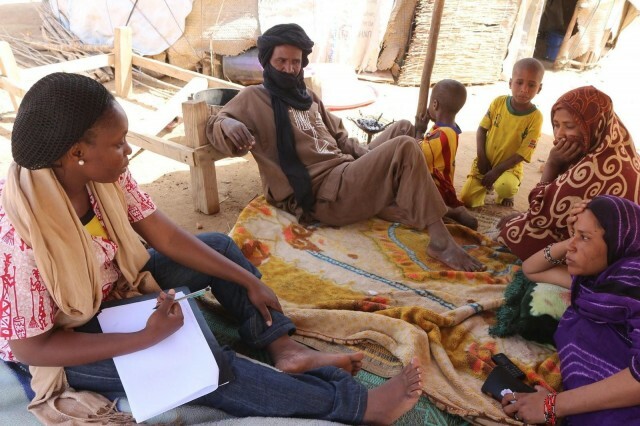 March marked the completion of the second phase of a study with the UN Refugee Agency (UNHCR) and the University of Bobo-Dioulasso on refugee livelihoods in Burkina Faso. We surveyed both urban refugees in Bobo- Dioulasso, Burkina Faso’s second city, and rural refugees in the Sahel region. This complemented the work completed in Mentao, Sag Nioniogo and Goudebou camps late last year. The aim is to understand how refugees are supporting themselves in their new environments, and how UNHCR and its development partners can best help them to become less dependent on aid and more self-sufficient. In the Sahel, this involves a milk and dairy project that is designed to improve the food security of both the refugees and the host community. We’ll be monitoring this work over the next three years, to see whether the project’s objectives have been met. In the last two months, the final household interviews in a three-year DfID/ESRC funded project with the University of Bath, Farm Africa and Self Help Africa have been completed. EfD led the fieldwork in Tigray, northern Ethiopia, and NGO staff trained by EfD led the work in Malawi and in central Ethiopia. We are currently analysing the data and looking in detail at the changes in household income that have taken place over this period. The study will give new insights into changes that can be attributed to the projects that NGOs have been carrying out in the study villages, and changes that are due to other causes. This is a rich new source of information into ‘what works and why’. Results will be presented at national workshops in Malawi and Ethiopia over the summer, and in the UK at the Development Studies Association conference in September. We’re very pleased to report that EfD has joined two new consortia working on the impact of climate change on livelihoods in Africa. Both involve partnerships with the University of Reading, the Met Office and other UK and overseas universities and NGOs. We will be posting updates as this work progresses.